The harbour porpoise (Phocoena phocoena) is represented by 700,000 individuals throughout its range and is doing well on a global scale. However, certain geographically defined populations or subpopulations have experienced drastic declines, such as the harbour porpoise population in the Baltic proper, which IUCN lists as ‘critically endangered’. In 2002 ASCOBANS designated the third Sunday in May of each year as the International Day of the Baltic Harbour Porpoise to raise awareness on the critical conservation status of the only cetacean species population native to the Baltic Sea. The SAMBAH (Static Acoustic Monitoring of the Baltic Sea Harbour Porpoise) Project started in 2011 and estimated a population size of less than 500 individuals. Acoustic monitoring showed that this population is clearly separated from harbour porpoises in the western Baltic during both mating and calving season, thereby calling for targeted conservation action. Today the harbour porpoises in the Baltic proper are predominantly threatened by human activities, such as accidental bycatch, ghost-fishing, pollution, underwater noise, habitat degradation and overfishing of porpoise food sources. Bycatch, even though successfully reduced by many countries, poses the most significant threat to the Baltic harbour porpoise. Once entangled in gillnets, semi-driftnets and other fishing gear, the small cetacean desperately struggles for a few minutes in a hopeless attempt to escape death before it drowns. Ghost fishing adds severity to this threat, as derelict and abandoned fishing gear can continue to entangle more porpoises while it is drifting through the sea for several decades. Furthermore, pollutants such as DDT and PCBs are stored in the cetacean’s fatty tissue and negatively affect the animal’s immune system and pregnancy rates. The Baltic harbour porpoise is severely impacted by this due to its position at the top of the food chain, where it accumulates high amounts of pollutants. Moreover, underwater human-induced noises interfere with the harbour porpoises sound-based communication, orientation and foraging systems. The animal’s excellent hearing is therefore very likely affected by shipping, sonars, construction, seismic surveys, etc. Last but not least, lack of food due to overfishing poses another considerable threat to harbour porpoises. The Baltic Sea has been heavily fished for a long time and many fish stocks are heavily overfished. Due to the harbour porpoise’s high metabolic rate, linked to its small size and therefore large surface area to mass ratio, the cetacean needs to constantly feed. In case food sources are scarce, the animal has to use up its fat reserves which negatively affects its immune system and general health. The International Day of the Baltic Harbour Porpoise aims to raise public concern through exhibitions and events at notable institutions such as museums, universities or other scientific institutions around the Baltic Sea. The number of events has grown significantly since the day’s initiation in 2002. As every year, the Secretariat invited potentially interested institutions around the Baltic Sea to participate in the 17th International Day of the Baltic Harbour Porpoise (20 May 2018), offering to make available information and display materials to support the events. Like every year organizers were invited to register their events for the IDBHP and to send reports and pictures. For this year’s edition multiple events took place in various institutions and countries around the Baltic Sea. NABU Schleswig-Holstein and the Europa-University organised a day full of presentations and games for every age on May 26th in Flensburg, Germany, whereas the German Oceanographic Museum in Stralsund and the National Park Centre Königsstuhl both informed the public with an exhibition, installations and presentations on the Baltic harbour porpoise’s critical situation on May 20th. In Finland, Tampereen Särkänniemi Oy Aquarium organised an event on May 20th and the House of Science hosted an evening presentation series on May 21st to raise awareness on the conservation status of the cetacean. 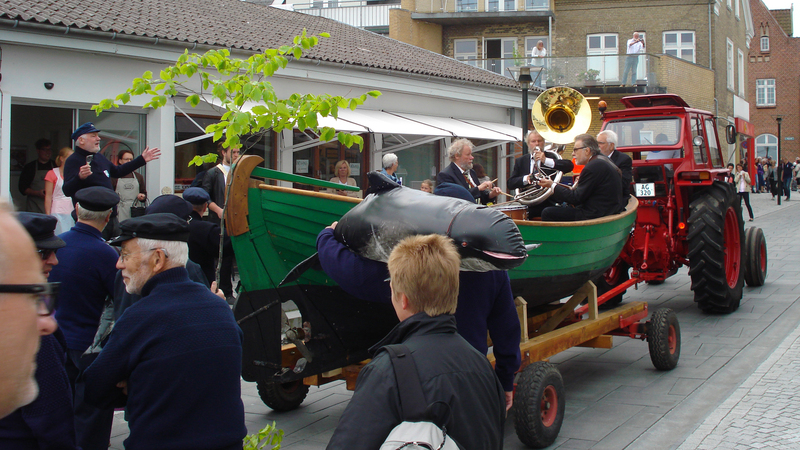 Furthermore, Forside Middelfart Museum in Middelfart, Denmark invited the public to participate, among other things, in boat-based porpoise watching and a dissection of a stranded harbour porpoise, while the Swedish National Nature Museum in Stockholm used social media and their webpage to raise public concern on the harbour porpoise’s dramatic decline in the area. Moreover, HELCOM launched an informative webpage, covering the basic biology of the animal, it’s decline, threats, but also current and possible conservation efforts to counteract the negative population trend. This day serves as a reminder to us that extinction is real and forever, and urgent action is needed to save the Baltic harbour porpoise from extinction in the near future. Under ASCOBANS, countries commit to the conservation of the harbour porpoise in the Baltic proper. This starts with the evaluation of the current state of this specific harbour porpoise population. Solid scientific data, as well as clear definitions, will lead to a better understanding of the current conservation status and will render conservation efforts more effective. Collaboration is critical to be effective – HELCOM and ASCOBANS, for example have a joint database for sightings, strandings and bycatches, in an effort to coordinate international efforts to protect the population. Currently a datahub for strandings data across the entire agreement area is in construction. There are three Action Plans for harbour porpoises under ASCOBANS - the Western Baltic Conservation Plan and Jastarnia Plan focus on the conservation and recovery of the harbour porpoises in the Baltic. Several other documents, such as the declaration from the 2018 Ministerial Meeting, or the Baltic Sea Action Plan, commit countries to create new, and improve connectivity between already existing, Marine Protected Areas, as well as tackling bycatch, reducing the input of hazardous chemical substances into the marine environment and supporting sustainable fisheries. Last but not least, the public has a critical role to play in the fight against extinction. Buying sustainably fished and certified fish or shellfish can make a big difference. Thinking carefully about our consumption patterns in general is important – and making sure that what we no longer use does not end up polluting the ocean. Plastic is an excellent example of the impact that careless production, consumption and littering can have. There is much potential in reducing, reusing and recycling plastic in its many forms – in order to ultimately avoid plastic entering our oceans in the first place. Find out more about what you can do on the ASCOBANS website.